Summary: In Peppa Pig: Cold Winter Day, everyone’s favorite friend, Peppa Pig is ready to show preschoolers how much fun awaits this winter season. Young viewers join Peppa and her family and friends as they build a snowman, throw snowballs, race their sleds and much more! 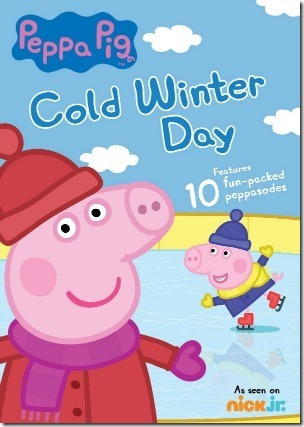 If you have a Peppa Pig fan this is a fun way to celebrate the arrival of Winter with your little one.